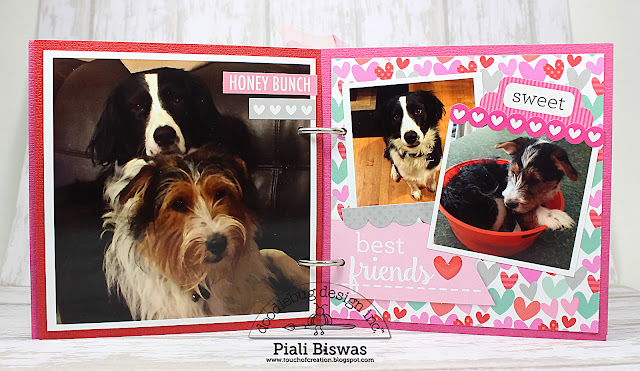 Today I'm on SEI blog sharing a layout. I used the beautiful Always Yours collection . Few of my fave photos of my youngest. she is super sweet and very silly at times. I love that the diecut accents pack had perfect words for my layout title. 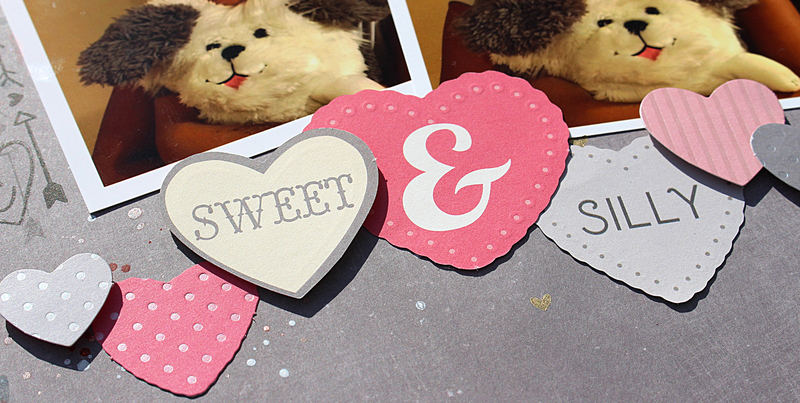 Love the foil accents on the diecut hearts. I added few splatters of Tumble dye sprays on the background. 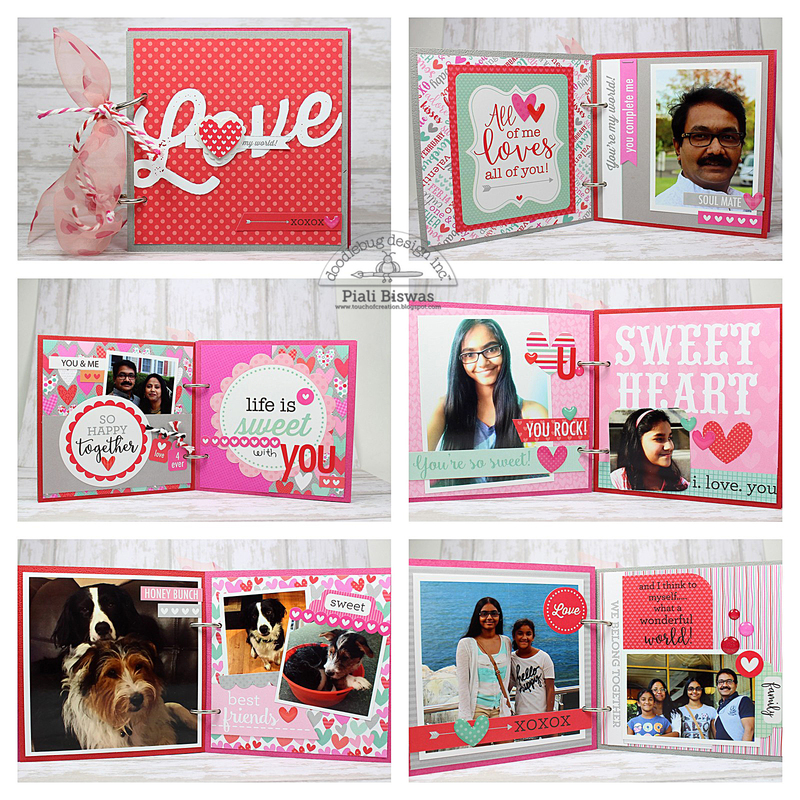 Moo-Mania & More - Hearts. 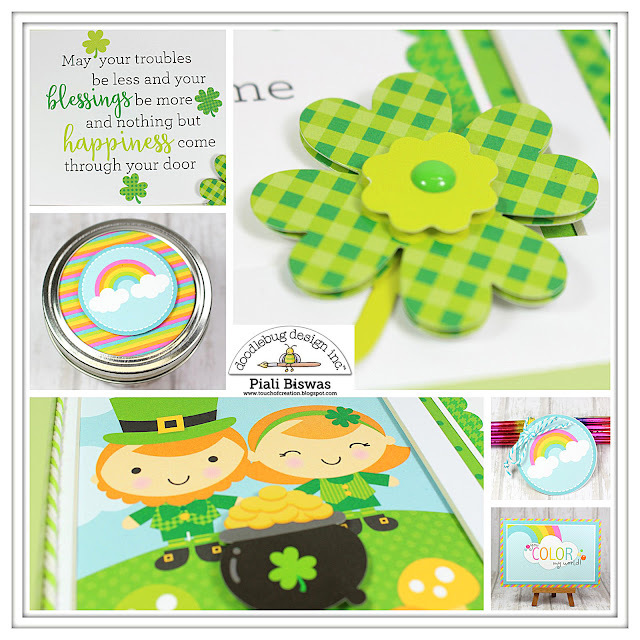 Today I have some projects using new Doodlebug Designs Pot O' Gold collections to share with you all. 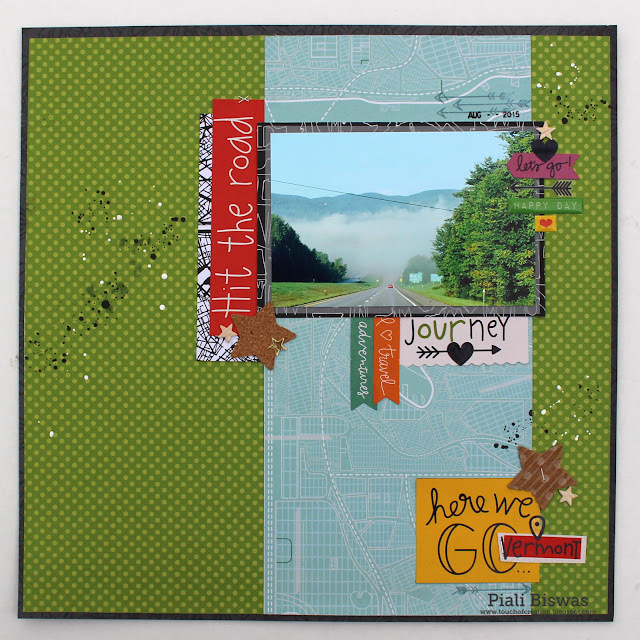 This frame is for the following challenges..
WordArt Wednesdays - Anything Goes. This gift set is for following challenges.. Scrap N' Challenge : Anything goes. The Sisters of Craft : Anything goes. 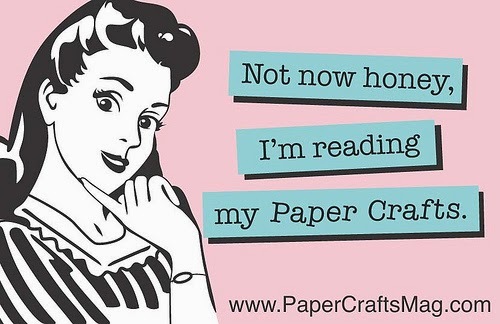 Through The Craft Room Door : Anything goes. 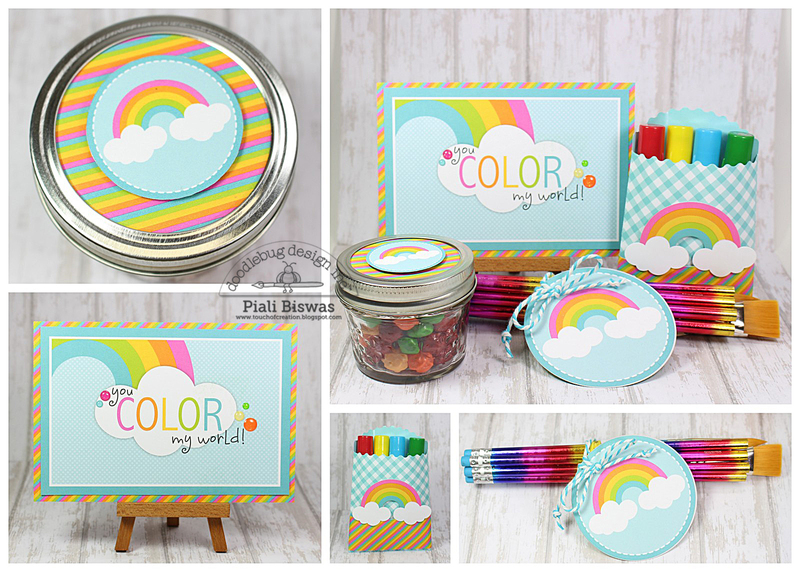 I'm on DCWV blog today ...sharing a layout ! 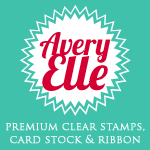 I used the beautiful STATESIDE stack... love this new stack!!! Its a travel based stack, with fabulous colors and fonts!! 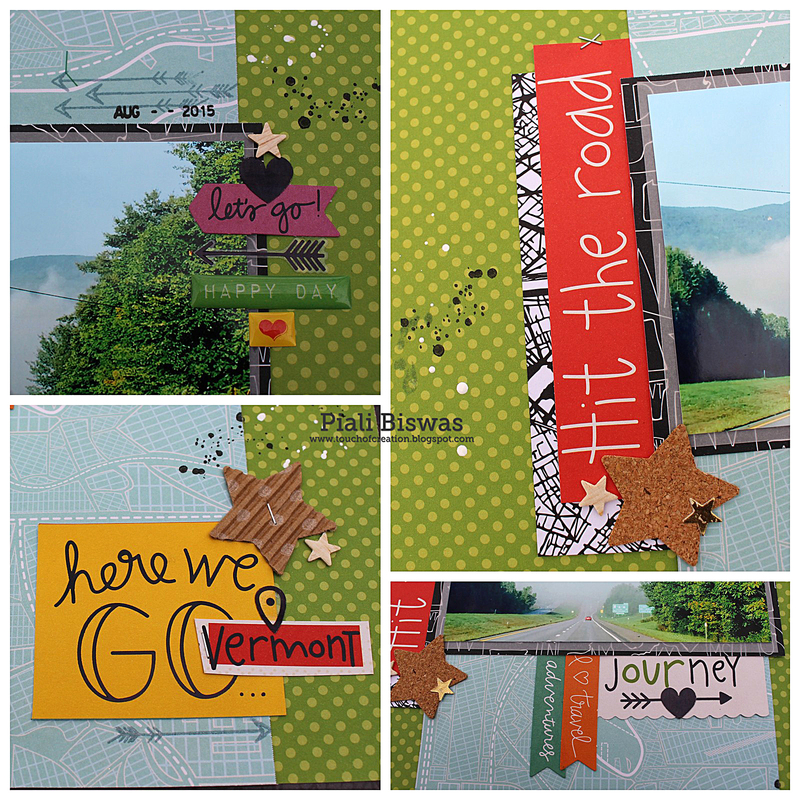 I used a photo from our Vermont road trip...it was beautiful drive in the early morning, great mix of sun & fog!! I also used some banners and stickers from the travel journal kit. 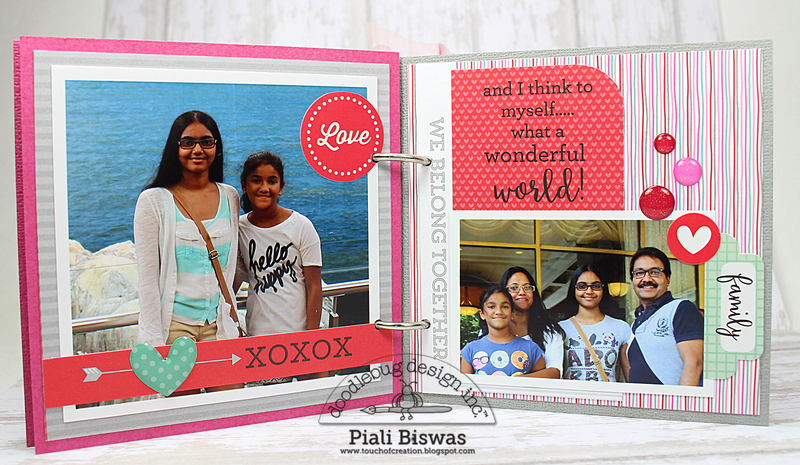 I'm also working on a the travel journal kit...I'll share with you all soon. I also added few cork and corrugated stars. You can find the Stateside stack in your nearest Joann stores. 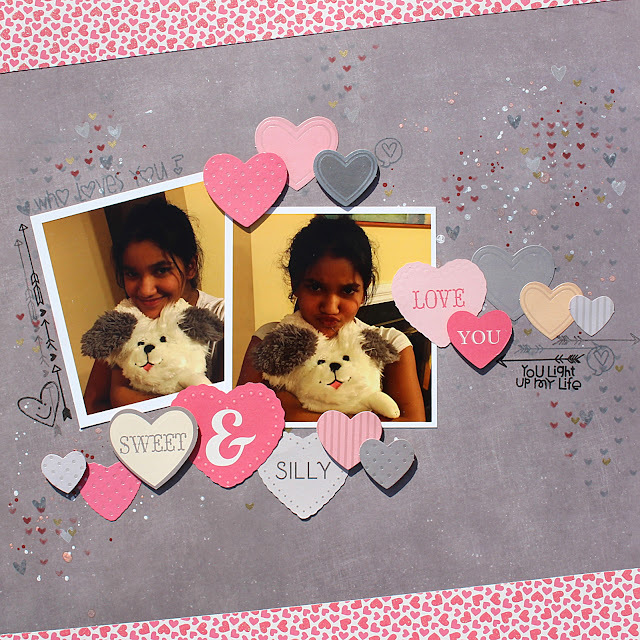 Hope you like this layout! 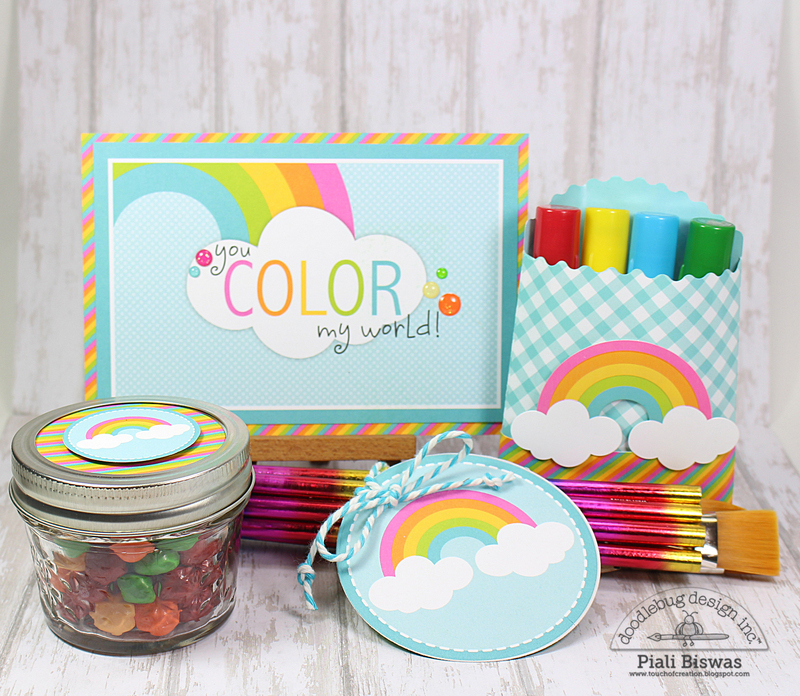 Today I'm on Doodlebug Designs Blog sharing few projects using new fabulous SWEET THINGS collection..
.... its all about my little happy world..My Family! Its a 4.25" X 4.25" mini album..
Its a super quick and easy project... 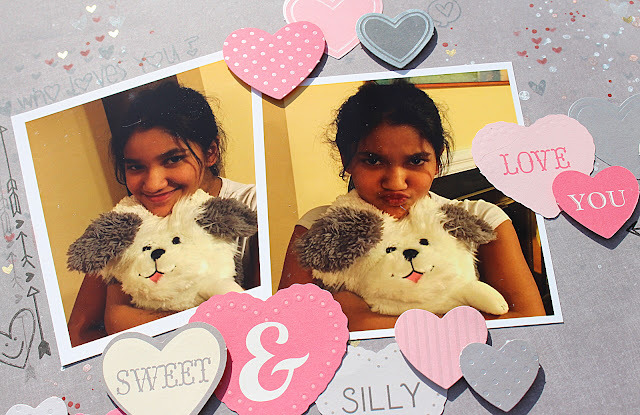 I used all the stickers , fancy frills and sprinkles to embellish the pages. 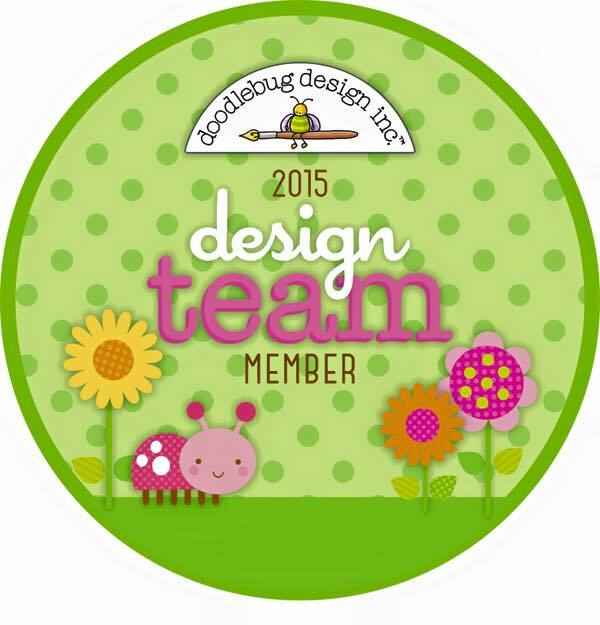 I also used the Skinny Letters ... one of my favorite Doodlebug Alpha Stickers. Added some Chunky Twine for texture. 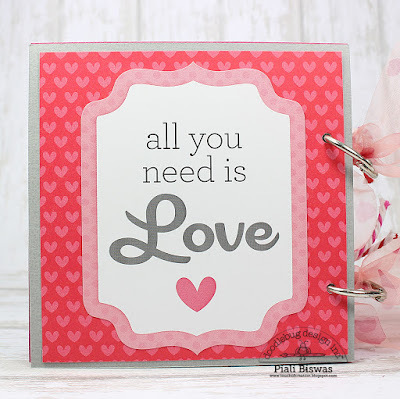 Love the printed phrase in this collection...beautiful handwritten font is just amazing! I also used few Glittered Sprinkles from the 2015 Valentine collection. For the back panel of the mini album I used a sticker from LOVEBUGS collection. Love how both the collection blends well together. Love how the mini album turned out!!! 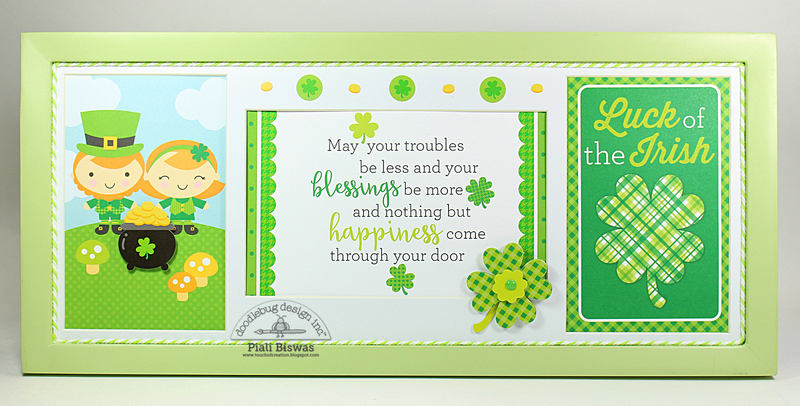 I used Doodlebug Create-A-Card assortment pack for my card base. 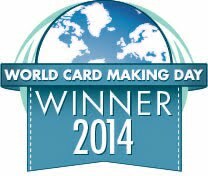 The create-a-cards make its super easy to create. Love the cute icons in this collection... 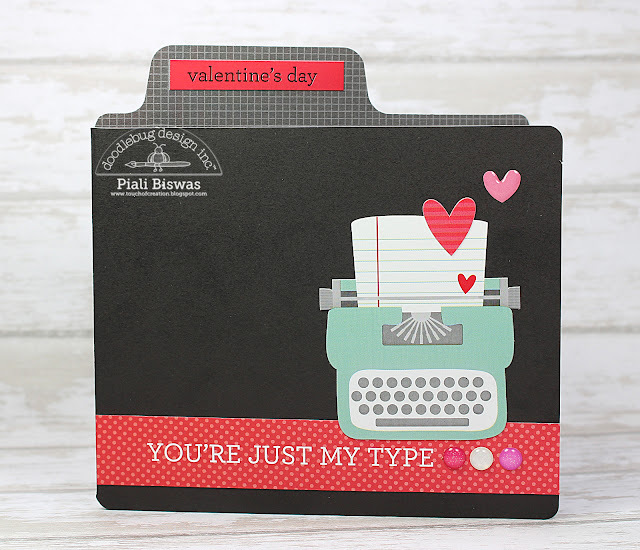 The Typewriter is fabulous! 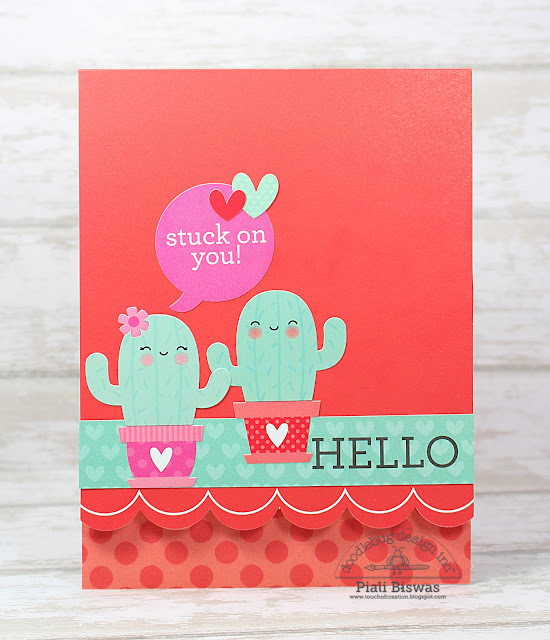 How cute are these Cacti!! !